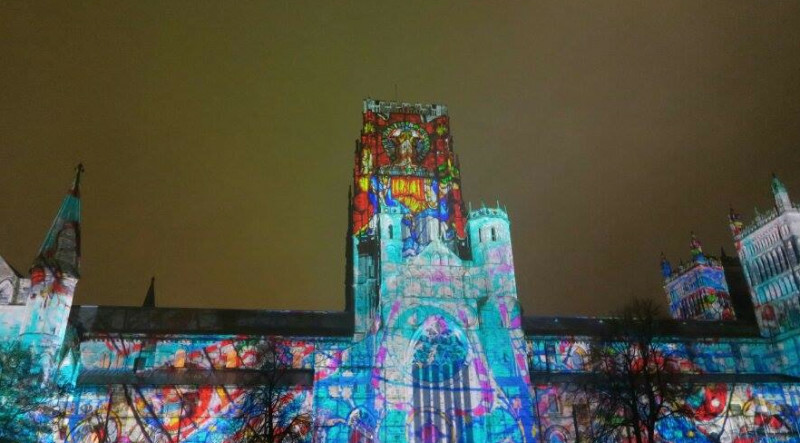 This weekend Durham was, once again, home of the Lumiere Festival. 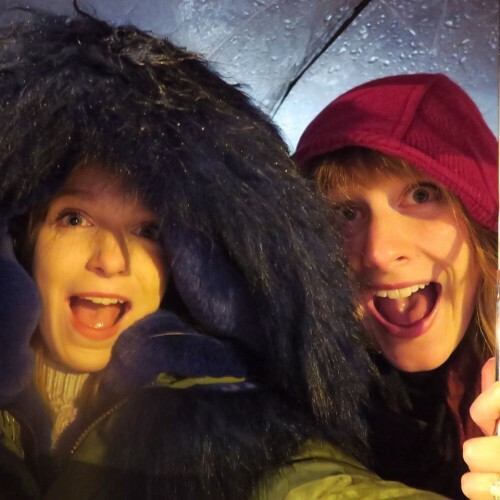 Despite the cold and rain, we had a really fun night checking out the different displays of art. Hannah and I desperately trying to stay dry! 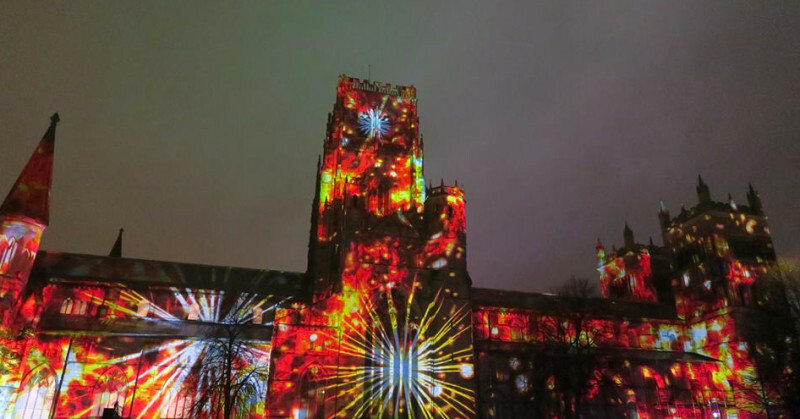 For those who are unfamiliar with Lumiere, it is the UK’s largest light festival. 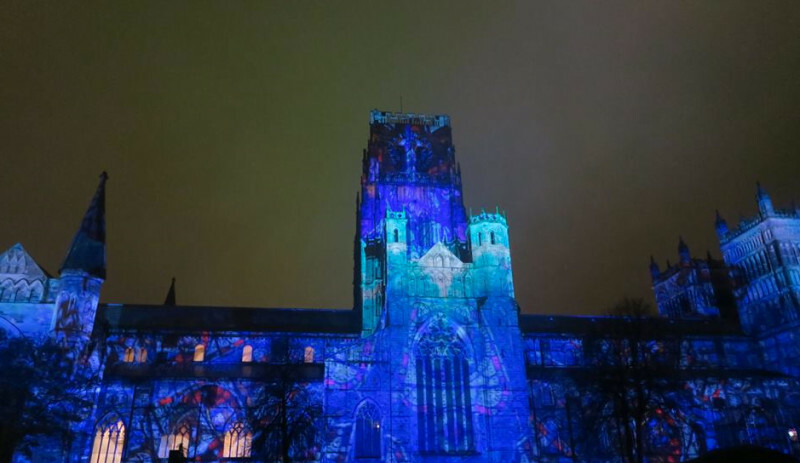 A series of installations take over the city for a weekend and explore the possibilities of light and how it can transform urban environments. 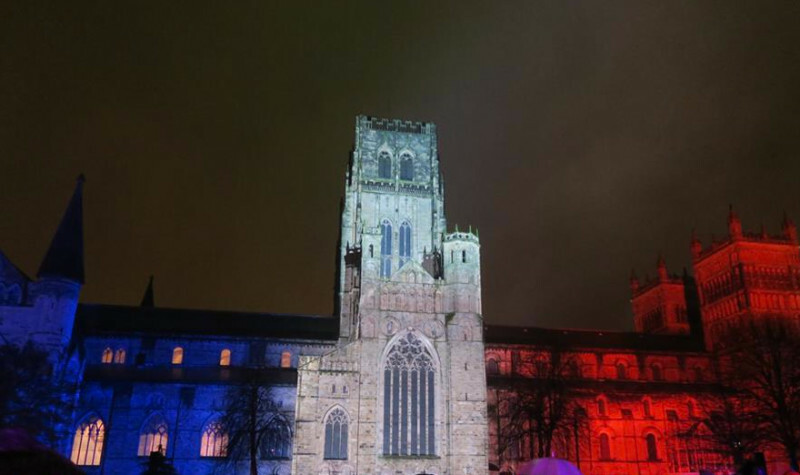 Showing solidarity with France during these difficult times. 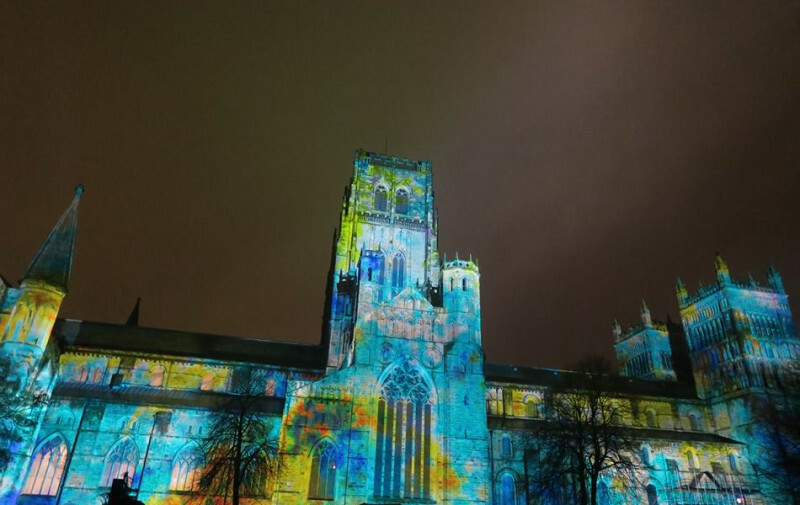 My favourite installation was ‘The World Machine’ at Durham Cathedral. 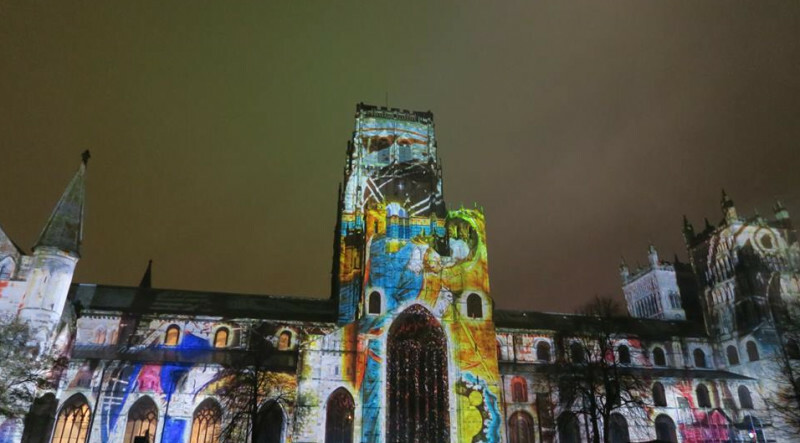 Lumiere festival described it as the “story of the birth of modern cosmology from the 12th Century until present day” told through song and illumination on the façade of the cathedral. 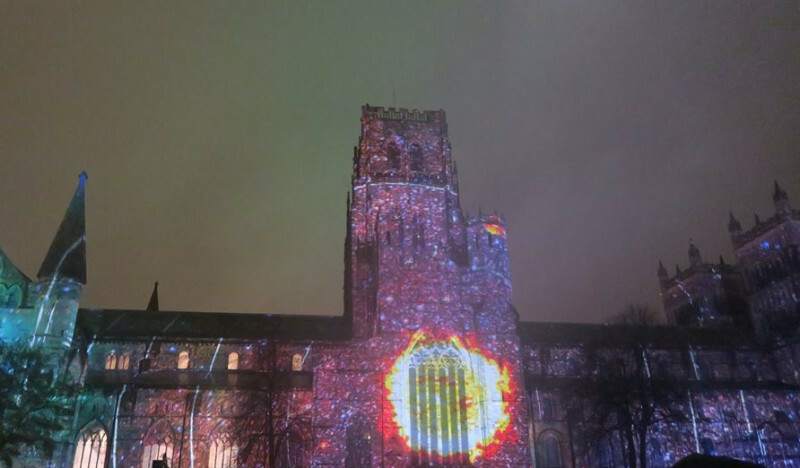 The stunning projection captured a sense of art colliding with science, in a multi-sensory display. It created a magical atmosphere in the historic surroundings of Palace Green. 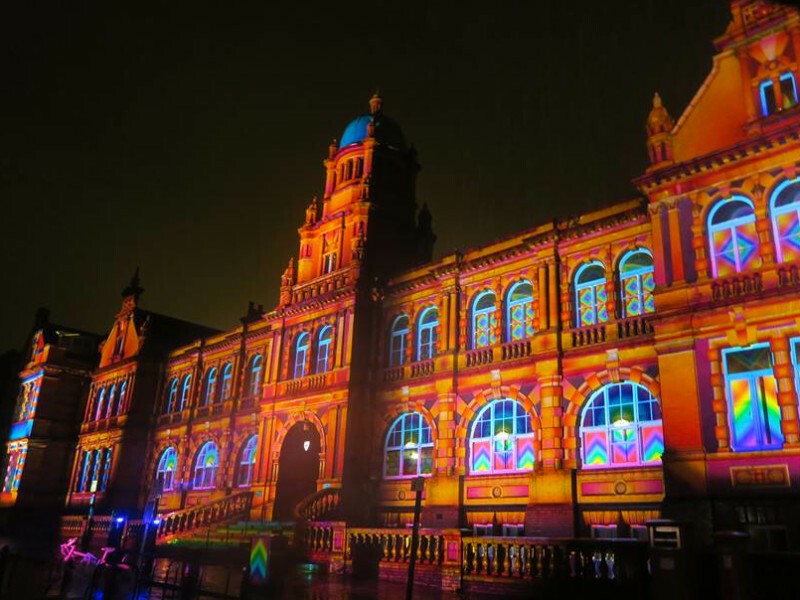 If you are interested in attending a light festival, the company behind this incredible production are transforming London into a ‘Winter Playground’ in January 2016. Information can be found at London Lumiere. If you enjoyed this post, please share it! Then head on over to my instagram -@gemmagoesglobal to see a clip of the installation I’ve shared. If you have any event recommendations leave me a comment to let me know.